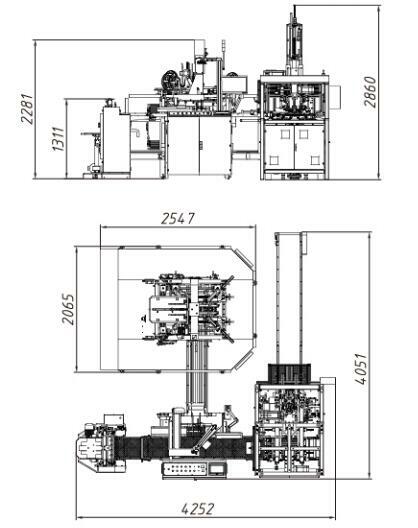 HM-ZD2418 Automatic Rigid Box Line is specialized in mass producing all kinds of small rigid boxes, such as finest jewelry boxes, ornaments boxes, gift boxes, watch boxes, pencil boxes, candy boxes, souvenir boxes, and cosmetic boxes, etc. The minimum size for wrapped box is 45x35x10mm, which covers the ring boxes. It is the smallest automatic box maker in China. The feeder, gluer and conveyor are driven by servo system which has continuously variable transmission and enjoys high accuracy, easy adjusting, and less time consumption. Double color conveyor can save the time for changing to other color belt, which is Hongming’s patent. The spot unit adopts Germany camera with 5 million pixel and robot arm to pick and spot the greyboard, enhancing the spotting accuracy to ±0.05mm. The forming unit employs Germany linear slider, stable and wear resistant.